Do you ever wonder what Superman eats? Documentation is hard to find, but apparently Superman used to dine on beef bourguignon with ketchup, but has now become vegetarian. My guess is that in today's world he really would be eating from the group called Superfoods, which include tea, tomatoes, salmon, and oats. Let's talk about oats. Oats are a whole grain food. Whole grains don't just deliver a few benefits for your body, they help fight cancer, diabetes, and heart disease. The Linus Pauling Institute at Oregon State University shows that at least seven scientific studies found that higher intakes of whole grains were associated with lower risks of coronary heart disease. LPI says, "Whole-grain foods consumed in these studies included dark bread, whole-grain breakfast cereals, popcorn, cooked oatmeal, brown rice, bran, barley, and other grains like bulgar and kasha. A study that followed more than 85,000 male physicians for five years found that those who consumed at least one serving of whole-grain breakfast cereal daily had a risk of death from cardiovascular disease that was 20% lower than those who rarely or never consumed whole-grain cereal." One of the most popular breakfast cereals in the United States is oatmeal. A stand out for taste and nutrition is the "Original with Oats" multi-grain package provided by Roman Meal. It's handy for other baking ideas as well. What most Americans don't realize is that oatmeal can be consumed at different meals all day long either in bread and other baking products as well as a whole dish meal. Around the world the norm is savory oatmeal. In the South, while grits are a favorite breakfast item, they are also served with many other meals as a savory side dish. Oatmeal offers the same opportunity. It's more versatile than grits, besides whoever heard of gritsmeal cookies? When many people are asked to name something besides eggs for breakfast they get that deer in the headlights look. 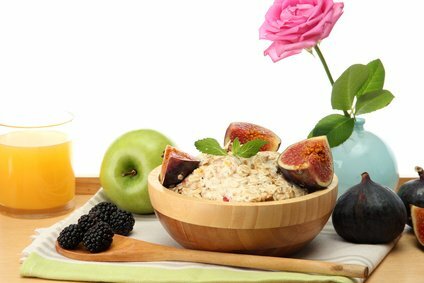 Other than eggs or cold cereal Oatmeal is generally the food of choice for the morning meal. Oatmeal for breakfast is usually served with brown sugar and raisins, however, consider Baked Hawaiian Oatmeal as an alternative with pineapple, bananas, coconut, Macadamia nuts and yogurt. For lunch or dinner, we found another dish called "Beet Carpaccio and Savory Oatmeal." Beets are almost a superfood and here they take the place of beef. Thinly sliced beets in a salsa topped with walnut parmesan over oatmeal, nutritional yeast, garlic, and broccoli. I think I would serve it with baked chicken in an apricot and yogurt sauce. Paired with prosecco for dessert of oatmeal cookies, it would make a lively dinner. Besides disco, the 1970s were known for carrot cake, fondue, crock pots, and "Impossible Pies." Impossible Pies were created by General Mills, which used their baking mix, eggs, and almost anything you would like to have in a pie. There really wasn't any crust, but the resulting one pan offering could be sliced and served like a pie or quiche. 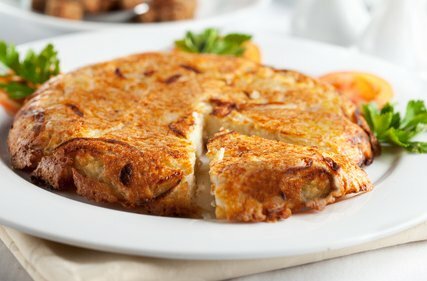 With a little experimenting you could make a great "Impossible Pie" with the oat baking mix mentioned above, onions, ham and cheese for a fantastic dinner. Leave out the ham and you have a very nice vegetarian center piece everyone will love. Breakfast cereals abound with nutrition claims, but oatmeal is so good for you it should be your answer to what's for dinner . . . or lunch . . . or breakfast. After all, if it's good enough for Superman . 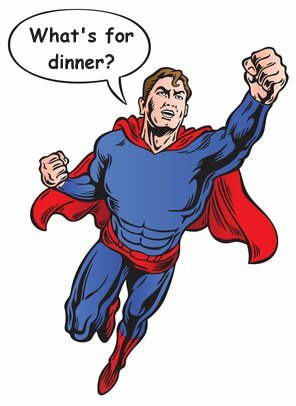 . .
Superman and Super Foods: Oatmeal It's What's for Dinner, oatmeal, oats nutritional benefits, oatmeal nutrition article, roman meal oatmeal, oatmeal.